It's the time of the year again where choral groups from different government agencies compete for the much awaited Government Choral Competition in celebration of the Philippine Civil Service 114th Anniversary. As an Alto 2 member of the Pag-IBIG Fund Chorale, joining and winning these competitions has always been something I look forward too. As a matter of fact, joining and winning International/Local Choir competitions and festivals is #4 on my Bucket List. The Pag-IBIG Fund Chorale was formally organized in September 2005. The group, composed of Fund employees from the agency's corporate headquarters and NCR branch offices, supports the institution's quest for excellence, providing that Pag-IBIG employees are not only capable of providing exceptional service to its members, but also shining in arts and culture, particularly music. 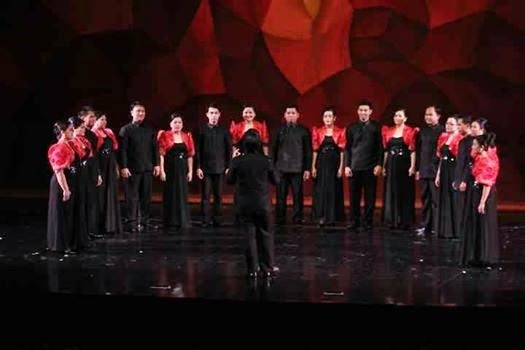 The group made its public debut in CCP's Liwliwa: Konsyerto ng mga Kawani", a light-hearted evening of songs uniting all musically gifted choirs from different government agencies. With 8 years, the Pag-IBIG Fund Chorale has participated in various competitions and festivals including Madz et al and has graced local television shows. 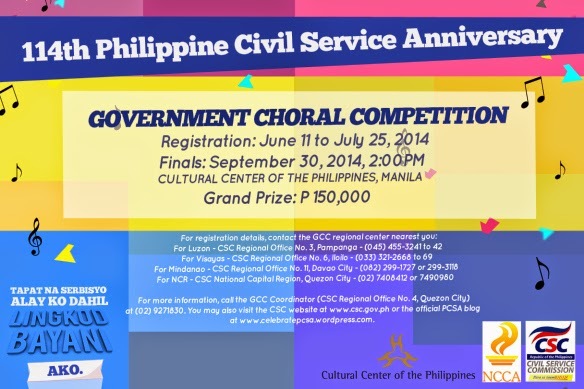 The Civil Service Commission (CSC) will once again hold the Government Choral Competition in line with the 114th Philippine Civil Service Anniversary celebration this coming September 2014. The competition aims to showcase musical creativity of talented government employees, promote Filipino culture and arts through choral singing, and inculcate in the minds of public servants a culture of excellence in public service. And don't forget to give us some social media love and support by leaving messages on the comment section. Thank you.